Lyndon is a small, leafy village a few miles south of Rutland Water. 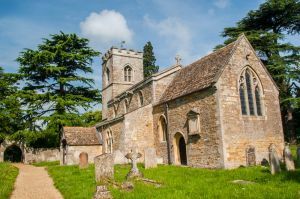 The parish church of St Martins stands in a large churchyard with trees all around. 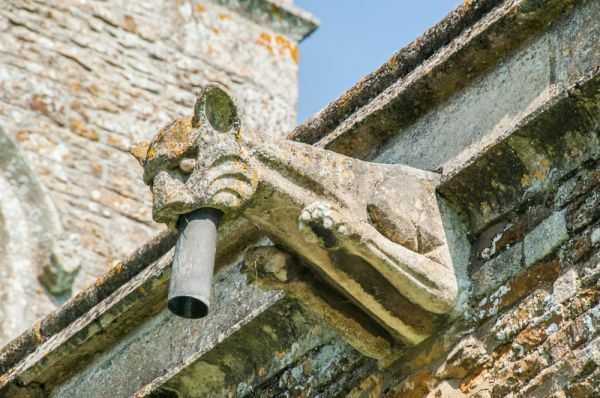 The church is primarily 13th and early 14th century, with some attractive gargoyles under the eaves. 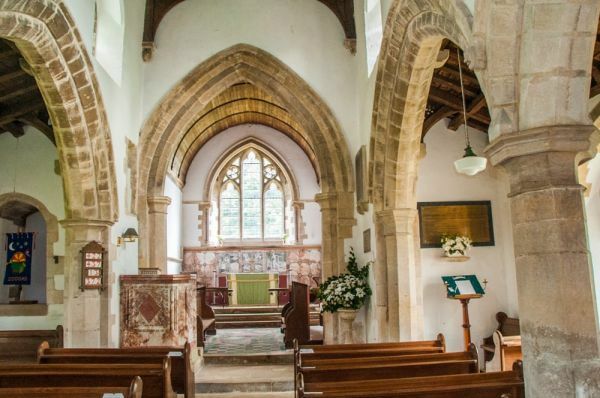 The tower is 14th century, though the upper section was rebuilt in the following century. 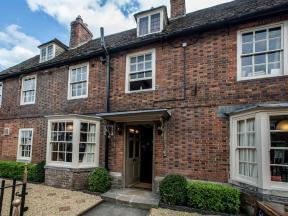 The south door is 13th century, and there is a scratch dial outside the porch door. 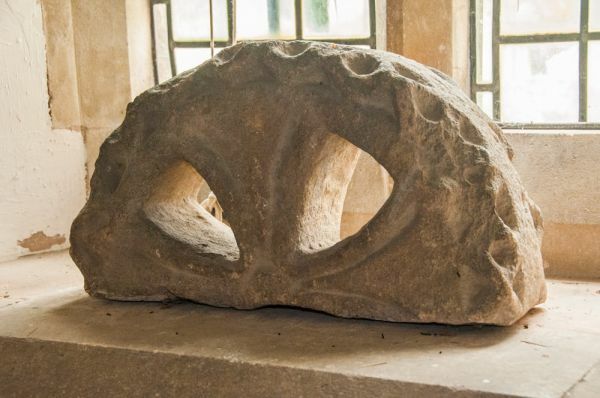 Inside the church, the most interesting historical feature is the head of an old cross, currently displayed on the west window ledge of the south aisle, near the font. There is some doubt as to the age and purpose of the cross. 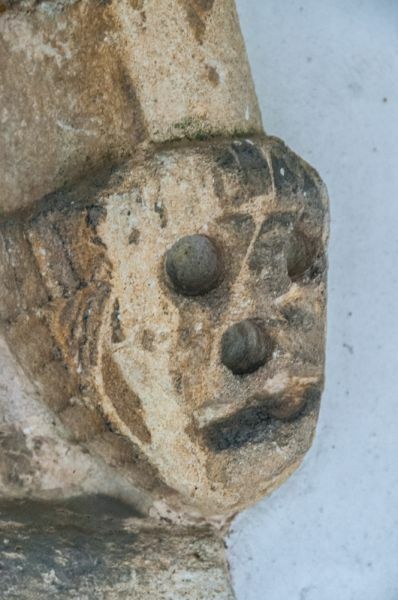 One theory is that it is all that remains of a medieval cross that once stood at the village crossroads. 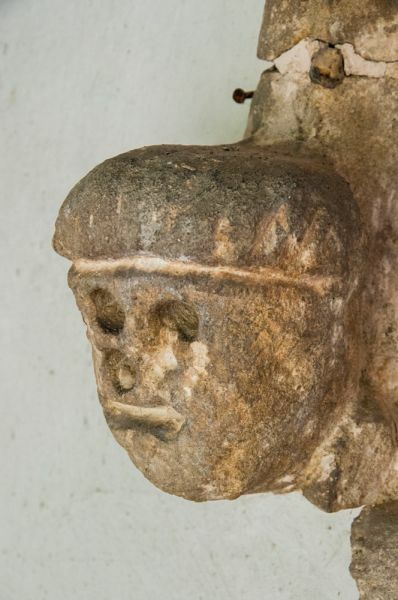 Another theory is that it was once part of a finial cross set above a chancel arch at this or another church. 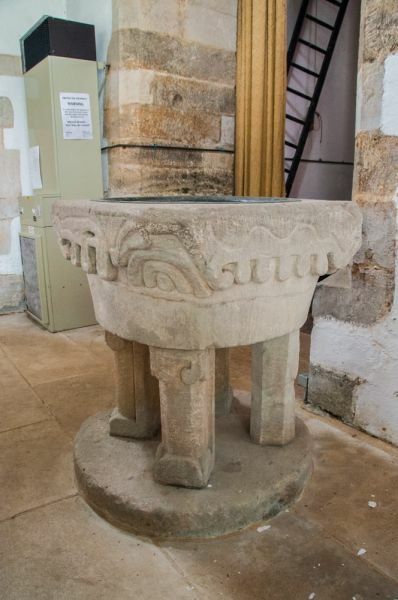 We are on safer ground when it comes to the nearby font; it is 12th century, with a square bowl ornamented with simple carvings of animals and scrollwork. 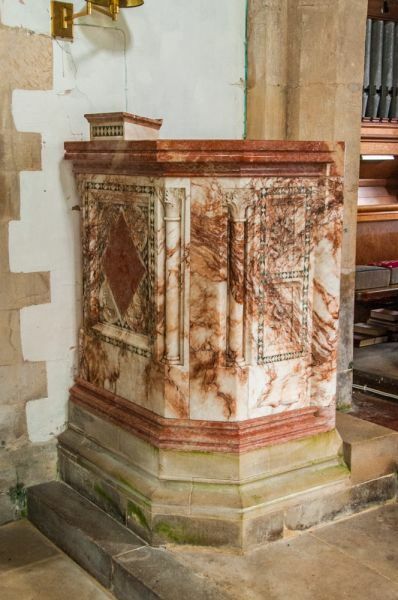 The font was discovered buried in the churchyard in 1865.